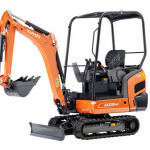 They are 28 inches wide and come with working water feeds for rolling tarmac and many of them come with additional hydraulic take off's for powering heavy duty hydraulic breakers and other attachments. Not having tarmac stick to the drum as they have a working water feed! Please ask us if you would like to hire a pedestrian roller trailer or heavy breaker as we have these available. 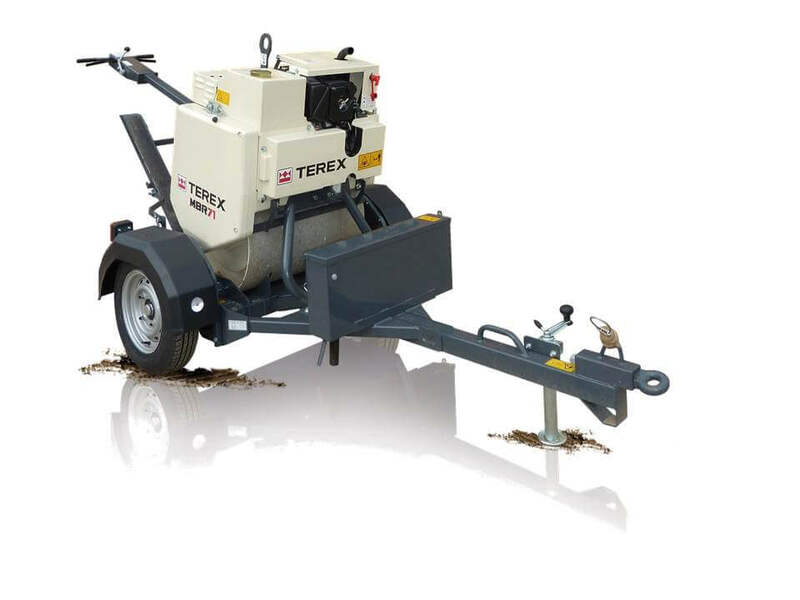 Terex make brand leading equipment, and their Pedestrian Rollers are among the best. 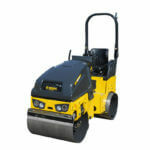 They are some of the most reliable and highest performing Pedestrian Rollers on the market. We stock a range of accessories for Pedestrian Rollers, such as trailers and breakers. 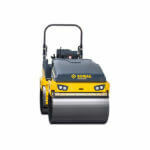 Breakers are the perfect companion to a Pedestrian Roller as they allow surfaces to be broken out utilising the Pedestrian Roller as the power source and then tarmac laid and rolled using the Pedestrian Roller. Bomag & HAMM set the standard when it comes to ride on rollers, we only stock brand new Bomag 80 AD-5 rollers and HAMM HD8 rollers. They come complete with a fold down roll bar, water sprinklers and green seat belt beacons.